An enriched skin conditioner specially formulated for men. Moisturizes and defends skin from the harmful effects of the sun and environment. 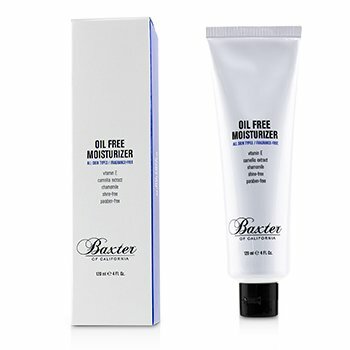 Grape Seed and Jojoba Oils along with marine extracts serve to nourish, smooth and revitalize skin. Vitamins C and E counteract free radicals whilst UVA/UVB filters provide SPF-15 against damaging rays. Baxter of California 4 fl oz.